Guitar Jam Daily has posted part two of their interview with guitarist Carl Verheyen for their Jamcast feature. Part one can be found here (looks like you'll need to register though). Suhr Guitars has uploaded some videos from their NAMM 2008 Tone Merchants jams. Some high-quality versions can be found here, but a couple of the Guthrie Govan vids are up on YouTube. Here is Govan playing "Wonderful Slippery Thing." Saw this on Mark McGuigan's site: Guitarists Guthrie Govan, Richie Kotzen, and Greg Howe will be headlining the London International Music Show at London's Excel Centre on Saturday June the 14th. Each player will do a solo set (each with a full band), before uniting for a monster jam at the end. More details can be found here on the Guthrie Govan message board. The London International Music show is comprised of four separate shows: The London Guitar Show, Drummer Live, Sound Recording Technology, and The Unplugged Music show. The entire event runs from June 12th through the 15th. UPDATE 4/2/08: Greg Howe has said his involvement in this show was never confirmed. Read more here. Jambands.com has an interview up with Jimmy Herring where the Widespread Panic guitarist answers reader-submitted questions. Jimmy talks about his work with WSP, and his upcoming solo album for Abstract Logix. Brett Garsed has added another live track from the 1/19/08 Dirty Martini show at Alva's to his MySpace page. 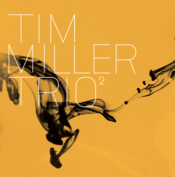 Dirty Martini features Ric Fierabracci on bass, Joel Taylor on drum, and Garsed on guitar). The newly posted track is called "Oasis" (Garsed previously posted "Undoing" and a portion of "Sticks" from this gig). FYI - I was in attendance at this awesome show. Check out this Picassa photo album for a few pics. Music journalist Anil Prasad has relaunched his Innerviews.org site. 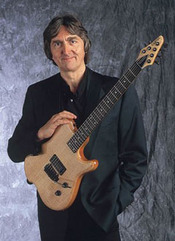 One of his first new interviews is with Allan Holdsworth. Steve Lukather - The Making of "Ever Changing Times"
The title says it all - this is a compilation of footage showing Lukather in the studio recording his new album Ever Changing Times. In other John McLaughlin news, the following dates have been posted for McLaughlin's Summer European tour with his band the 4th Dimension. European dates for this Spring can be found here. John McLaughlin's new album Floating Point will be released April 28th on the Abstract Logix label. Floating Point was recorded in India with Indian musicians, though McLaughlin's bassist from his 4th Dimension band, Hadrien Feraud, laid down the bass tracks for the album after the original sessions were complete. A few of the songs on Floating Point were performed last year during McLaughlin's tour with the 4th Dimension. 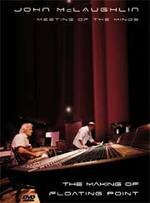 DVD chronically the making of the album will also be released on April 28th. Meeting Of The Minds - The Making Of Floating Point was filmed over a period of 5 days during the Floating Point sessions, and includes in-studio footage, plus interviews with the musicians. 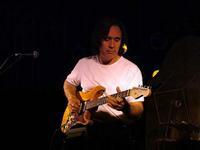 "We are happy to announce that the new Greg Howe album is scheduled to be released in June 2008. At the moment, Greg is busy mixing his new album in New York at "Push MP" and he should have everything completed in about 1 week. To be notified of the release date in the United States please visit the Shrapnel Records website and in Europe visit Mascot Records."